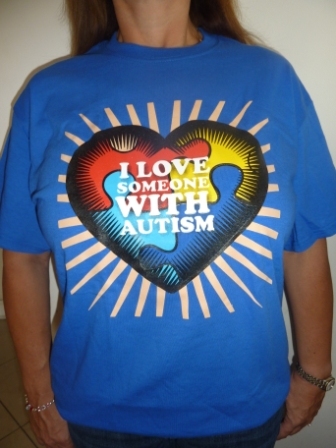 "I Love Someone With Autism" T-Shirt Blue. 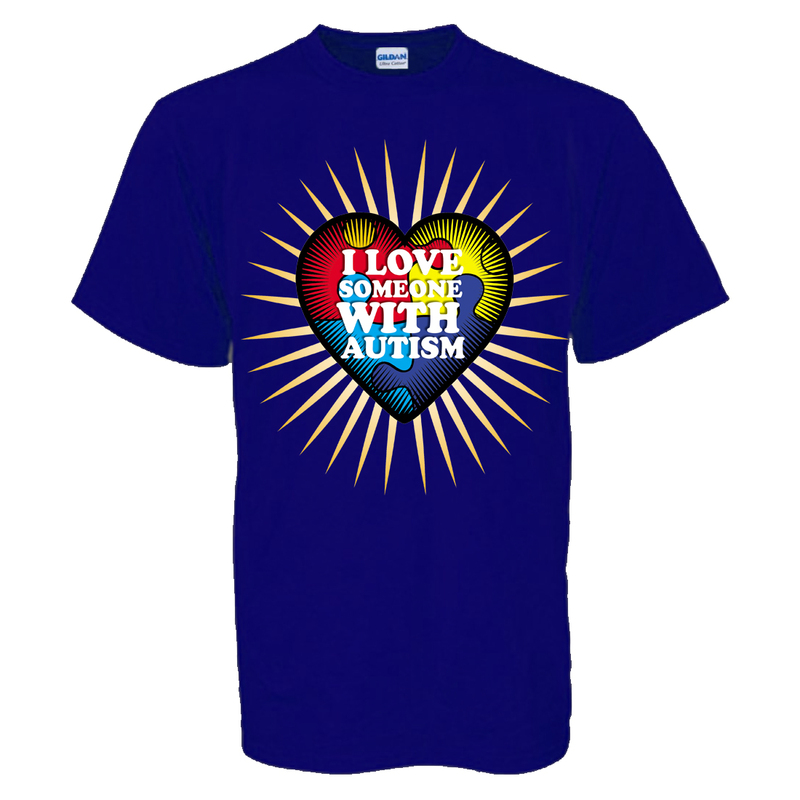 This autism t-shirt is our own unique design and is made of Hanes Heavyweight 100% preshrunk cotton. The shirts are unisex. 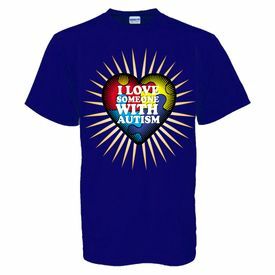 These autism t-shirts come in eight sizes and come in 2 colors white or blue. Child Small (4-6), Child Medium (8-10), Child Large (12-14), Adult Small (34-36), Adult Medium (38-40), Adult Large (42-44), Adult XL (46-48), and Adult XXL and 3XL.